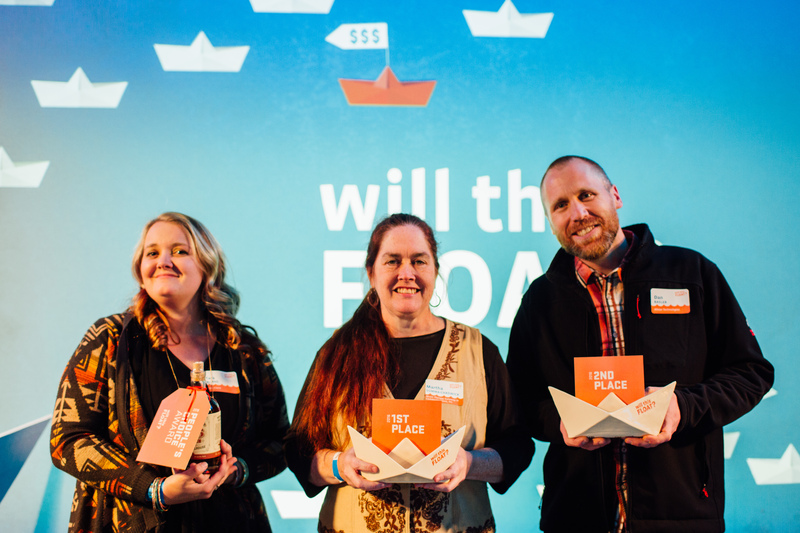 The Company Lab (CO.LAB) announced three emerging companies as the winners of its seventh annual ‘Will This Float?’ business pitch competition yesterday evening. Music Therapy Gateway in Communications, Inc. took the first place prize, winning $3,000 in cash, as well as 30 hours of free business services, a spot in a CO.LAB program and three months of access to co-working space at Society of Work. Allstar Technologies, led by Dan Basler, took the second place prize, earning $1,000 in cash and the same prize package as Music Therapy Gateway in Communications. Arrival Events received $500 for winning the People’s Choice Award. ‘Will This Float? 2016’ took place from 6—9 p.m. at the Chattanooga Zoo. Approximately 200 people attended the event, which featured business pitches from seven aspiring entrepreneurs from across southeast Tennessee. A panel of three judges selected the winners, assessing candidates according to their pitches and a set of five FLOAT criteria? ?.